Is there a special group of people in your life who you would like to treat to a glamorous and luxurious yacht excursion? If so, party yacht charters West Palm Beach provide a way to do just that. Modern vessels designed with top-of-the-line amenities and furnishings, five-star menus, impressive entertainment and a variety of dock locations combine to offer you and your guests the day, or night, of a lifetime. Imagine the excitement your guests will feel when they learn they are invited to an upcoming celebration on the most magnificent yacht rental West Palm Beach has to offer. When you partner with Charter One, the leaders in yacht charters, your upcoming birthday, anniversary, holiday or graduation party will be distinctive, lavish and memorable. In addition, we also host a variety of business-related party yacht rentals, including holiday gatherings or appreciation parties for your top clients and loyal employees. 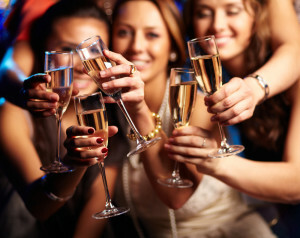 Party yacht charters West Palm Beach are always a success because they offer a unique hosting venue unlike your typical conference hall, restaurant or banquet room. Your first step to planning a celebration that stands apart from the rest is choosing which glorious vessel will host your event. If a small, intimate party is on your planning “to-do” list, consider The Summer Wind. Regal, exquisitely refurbished and stately, this incredible vessel takes guests back to a time when yachting was for the elite. Share with our event planning team which type of party you are interested in planning and they can offer a variety of themes and options that have worked well on this particular vessel. For grand affairs such as engagement parties, milestone birthdays and anniversaries, and corporate holiday dinners and award ceremonies, choose from The Grand Floridian or The Floridian Princess. Both of these extravagant vessels contain multiple decks, dance floors, high-tech amenities, and more. Their flawless design and modern interiors are the perfect backdrop for any party theme. Once you have selected which vessel will serve as your host, you can begin to work with our skilled event planners in choosing your delectable menu, entertainment and décor. Decor and theme selection can bring your party yacht charter in West Palm Beach to an entirely new level. From formal themes to casual get-togethers and fun, costume parties, our team can help you pick the ideal party theme for your guest list and occasion type. Your menu is another top priority when it comes to making your event stand out. Luckily, with our award winning culinary artists, unforgettable and creative menus are a breeze. Not only will your guest list rave about your party, but they will be speaking about its unique and scrumptious menu for years to come. Speak to our culinary team today and learn how you can also customize your menu to meet the dietary needs and allergy-restrictions of some of your attendees. Quality entertainment is also key when it comes to hosting a top notch party. With our long list of entertainers from throughout South Florida, you are sure to find exactly what you are looking for. From singers and live bands, to DJs, dancers and more, be prepared to “wow” your guests with five-star entertainment and amusement. Contact Charter One today at 954-771-0102 and begin planning your party on one of our luxury party yacht charters West Palm Beach today. With the holidays and the New Year right around the corner, there is no better time to begin the event planning process!